The 2018 Winter Olympic Games in PyeongChang, South Korea officially begin with the opening ceremony this Friday. Weather conditions such as temperatures, natural snowpack, and days conducive for making snow all have serious impacts on the quality of the games. For example, Vancouver (2010) saw snow melting quickly before the games began, and during the games in Sochi (2014), temperatures reached 68°F. 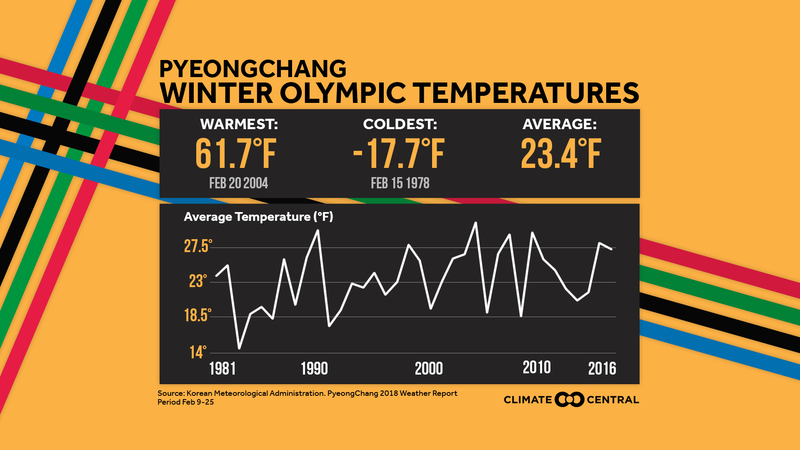 While PyeongChang is expected to be extremely cold for the opening ceremonies, the long term trends show a shift away from the cold temperatures associated with the winter games. 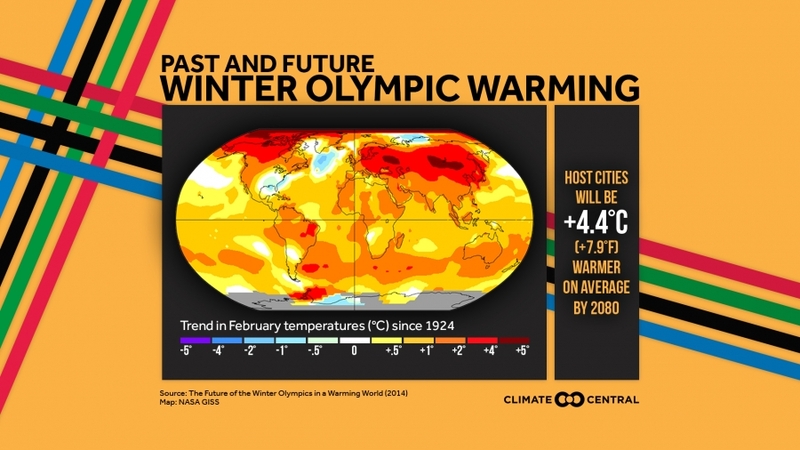 Global temperature trends since 1924, the year of the first Winter Olympics, show that Februaries have already warmed an average of 1.01°C (1.82°F) worldwide (all but four Winter Olympic Games have taken place solely in the month of February). With warming continuing around the globe, past Winter Olympics sites may no longer be viable as hosts in the future. As we previously reported, only six of the 19 past Olympic host cities will be climatologically reliable for hosting the games by the end of the century in a business as usual emissions scenario. 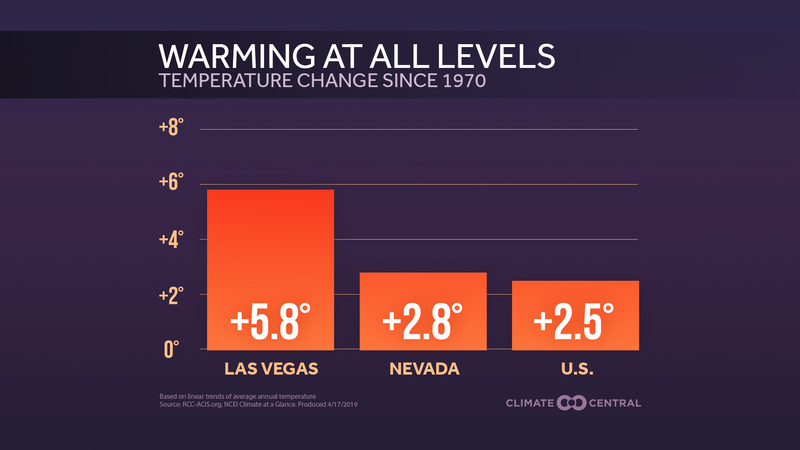 On average, previous host cities will see 2.1°C (3.8°F) of warming by the 2050s and 4.4°C (7.9°F) of warming by the 2080s under that scenario, and 1.9°C (3.42°F) and 2.7°C (4.86°F) of warming respectively with significant emission cuts. Additionally, northern hemisphere snow cover extent is declining and glaciers are retreating. Not only is this bad for winter-based economies and the competitions themselves, it also makes reliable training locations difficult for athletes to find, forcing athletes to travel farther to train. In the United States, some ski seasons are forecast to be 50 percent shorter by 2050 and 80 percent shorter by 2090, and the impact of this extends beyond professional athletes. Winter sports generate $72 billion per year in the United States and support nearly 700,000 jobs. 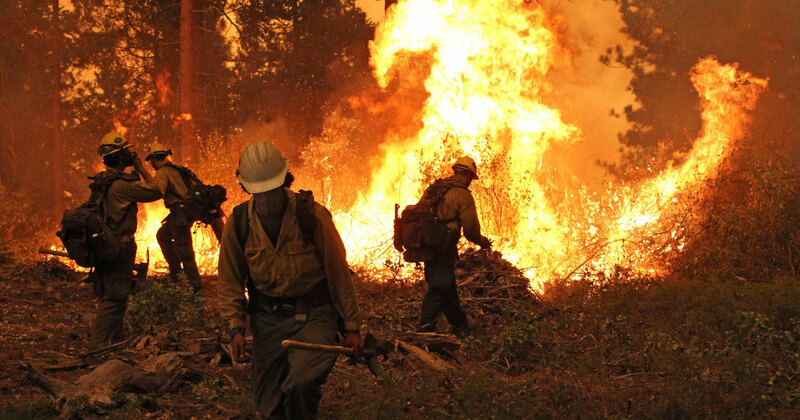 An updated report on the economics of the winter sports industry and the impacts from climate change is expected from the group Protect Our Winters in the coming weeks. Because of this threat, many ski resorts around the world have been investing in sustainability efforts to mitigate and minimize their contribution to climate change by reducing waste, buying carbon offsets, and using renewable energy. 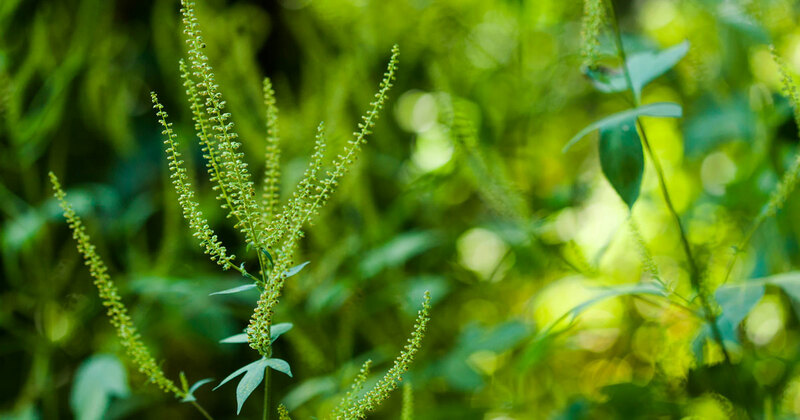 In the U.S., the National Ski Areas Association has developed an initiative called “Sustainable Slopes” that provides a framework for sustainability and environmental performance for ski areas.